Only 5 years ago, über was a way to flaunt your German while still being superlative, lift was spelled with an “i” and was primarily associated with one’s morning coffee, and sidecars made us fondly recall our childhood love for the Caped Crusader. Throw in services like Getaround, Relayrides, RedCap, and an ever-expanding list of others, and it’s hard to ignore that exciting changes are on the horizon when it comes to getting people where they need to go. By 2020, Frost & Sullivan forecasts car sharing will grow to a whopping 26 million users worldwide, up 1030% from today’s ~2.3 million. 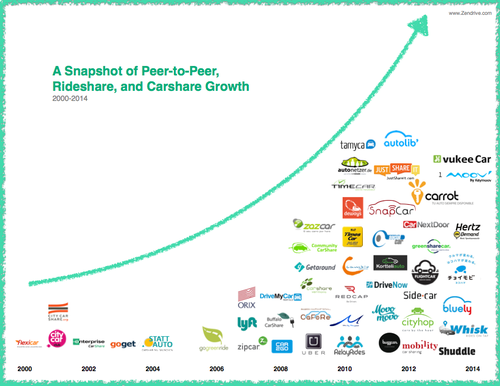 In other words, we really love ridesharing. 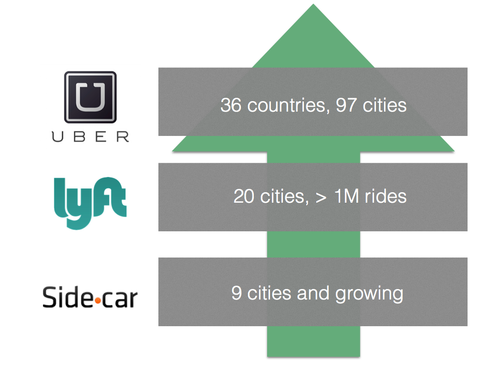 But the über fast growth of Transportation Network Companies (TNCs) has not come without its challenges. If you’ve been paying attention to the headlines recently–especially in cities where ridesharing is expanding fastest–you’ve heard about the clashes between the companies, regulators, taxis, and insurance providers. Even though value is clearly being delivered to the consumer, there are forces in place that resist adaptation. The crux of it: figuring out how to design easy, fair, and affordable ways to ensure driver quality and passenger safety, all while keeping consumers happy. As this issue gets hotter, TNCs are tackling it head on. Recently, Uber rolled out a $1 “Safe Rides Fee” similar to Lyft’s $1 “Trust & Safety” surcharge. These support the high costs of delivering on safety commitments to consumers. And in California, Lyft, Uber, and Sidecar have partnered with regulators and insurers to form a P2P Rideshare Coalition. These are strong signals that safety and fleet quality is a real priority for the public and for TNC’s. In an industry that’s bottle-necked by its ability to bring new high-quality drivers into the network, the time for a solution is now. We believe that the time has come for a creative, technology-based solution to emerge, and help relieve these growing pains.